New Zealand, an island nation in the southwestern corner of the Pacific Ocean, divided into two main landmasses, the North Island (Te Ika-a-Maui) and the South Island (Te Waipounamu), is an eclectic blend of European and Polynesian heritages. Due to its relative remoteness, the islands were some of the last to harbour human settlements, and are filled with strange and wonderful animals unique to the environment, such as the nimble yet flightless kiwi bird. The proud Maori people from Polynesia were the first to make New Zealand their home, and their time-honoured traditions, such as the hangi and warrior-stance haka, have become a part of modern day New Zealander culture. 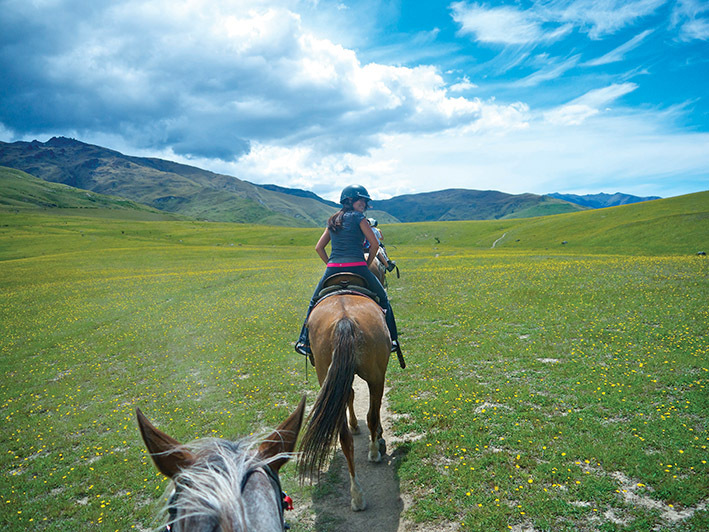 From emerald pastures dotted with fluffy sheep to magnificent wine country and mysterious bubbling cauldrons of geothermal mud to the stark beauty of dramatic coastlines – New Zealand has something for everyone. Come along, as we flock like migratory birds this December to warmer climates, and embark on an unforgettable road trip spanning the North and South Islands. Instead of the usual format, I’ve chosen to highlight specific locations along our journey instead of just one city. Let’s hit the road! We took a direct flight from Hong Kong to Auckland and picked up our rental car at the airport. From there, we drove three hours to Rotorua, a city famous for its geothermal hot springs and for being the heart of Maori culture. All Blacks flags flutter everywhere – these are serious rugby fans! What to do: For thrill seekers, go canyoning in underground rivers and float under canopies of glowworms in Waitomo Caves. 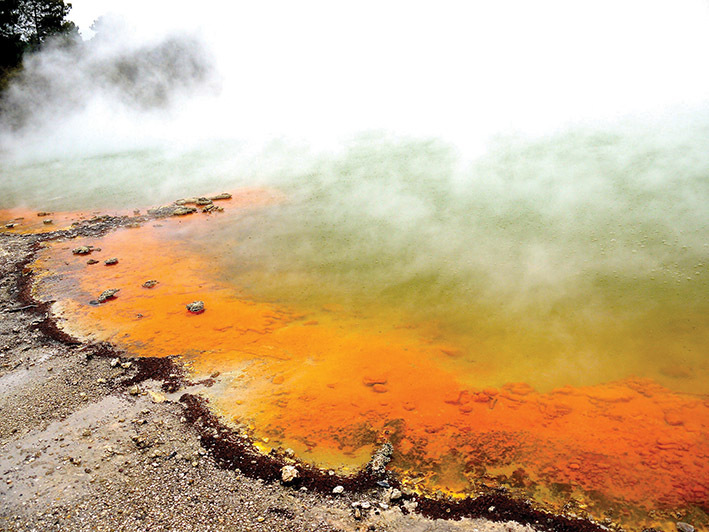 Visit geothermal parks and get close to bubbling cauldrons of mud and water, some reaching well beyond 100°C and the colour of glowing Gatorade! There’s also a geyser that erupts every morning (around 10am) at Wai-O-Tapu park. Immerse yourself in New Zealand’s sheep farming heritage at Agrodome, where you get to pet 19 breeds of rams, watch sheep-shearing competitions, and clever shepherd dogs at work. Unwind at the Polynesian Spa after a packed day of adventures. Where to eat: Indulge in traditional Maori hangifeast, and taste fork-tender lamb and chicken cooked in steaming vats buried underground. Our meal started with a welcome from mighty Maori warriors rowing their canoes through the rushing river and concluded with Maoris intricately painted with warrior tattoos sending us off with the war-dance haka. 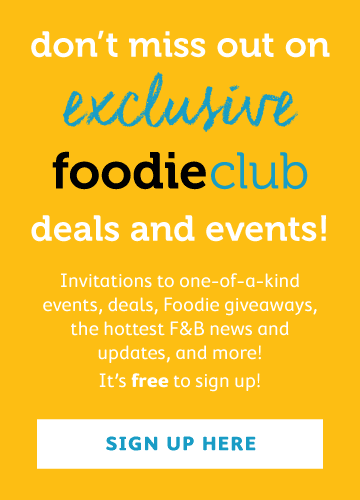 Check out Mitai for details. Taste New Zealand’s most famous export – the Manuka honey, and pick up a few jars at Huka Honey Hive. I tasted the most delicious honey ice cream here! From Rotorua, we drove to Wellington before boarding a plane to Blenheim, the heart of New Zealand’s wine country. With plenty of sunshine and a warm microclimate, Marlborough’s terroir is perfect for its world-famous Sauvignon Blanc. What to do: Wine tasting! Marlborough wine country is small relative to Napa or Bordeaux, so we easily biked between cellar doors while “slightly” intoxicated. For sightseeing, drive the scenic route to Marlborough Sound and swim with pygmy dolphins or try to spot the very rare King Shag amongst the sunbathing seals. Hike the 70km Queen Charlotte Track for breath-taking views. Where to eat: If there’s one vineyard you MUST visit it’s Hans Herzog. As the name hints, the Herzog family hail from Switzerland and have been winemakers since 1630. In the mid-1990s, Hans and Therese Herzog searched for greener pastures (quite literally!) and found the terroir of Marlborough the ideal condition for their Bordeaux-style wines. They transplanted 11 hectares of vines from their old Swiss vineyard and today, Herzog is a refined gourmet institution with a fine dining restaurant, luxury accommodation, as well as exceptional vintages. Besides the predictable Sauv Blanc, Pinot Noir and Chardonnay, Hans also experiments with an eclectic array of lesser known varietals such as Arneis, Barbera, Tempranillo and Zweigelt. We loved the wines so much, we shipped 24 bottles back to Hong Kong! Wineries: Some of our favourite vineyards (besides Herzog) include Forrest, Seresin, and Te Whare Ra. Many of these wineries are family-owned and organic. And of course, Marlborough is the home ofCloudy Bay. 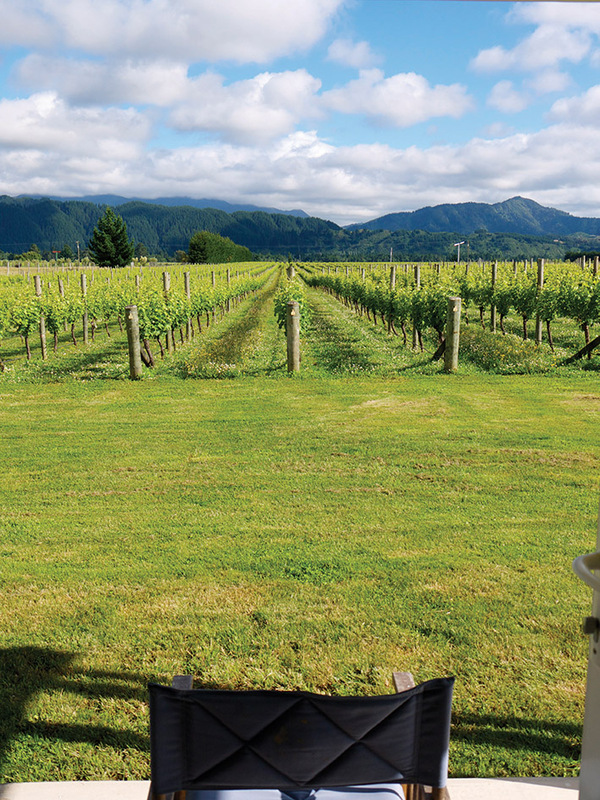 Make sure to stop for a long, relaxing wine lunch at Wairau River Wines. When in Marlborough Sounds, try the local delicacy – green lipped mussels. These are the biggest, juiciest mussels I’ve tasted thus far! An arty, little picturesque town, Nelson is the prettiest town we encountered during our roadtrip with a mix of art galleries and rose gardens. What to Do: For adventurers, walk the Abel Tasman Track, which takes between 3–5 days, or climb to the top of Botanical Hill to view the monument marking the Centre of New Zealand. It’s only a short walk up, and you get a fantastic view of the city below. Just remember, cows and sheep are everywhere and we were chased part of the way by one particular feisty heifer. Where to Eat: Hopgood’s is a gourmet’s dream – modern, seasonal menu using produce sourced from high quality, small growers nearby. For farmers’ markets, there is the Friday Night Market at Founders Park, or the Saturday Morning Market in Nelson central. Forage away! From Nelson, you can take the SH6 highway towards Westport and Punakaiki and visit seal colonies, theUpper Buller Gorge swing-bridge, and the famous pancake rocks before arriving in Greymouth. Either drive on or rest for the night before heading to the famous Franz Josef Glacier. Budget at least four hours for exploring this majestic glacier. We did a heli-hike on the glacier and scaled bottomless ice crevices and caves before being whirled back to solid ground via helicopter. 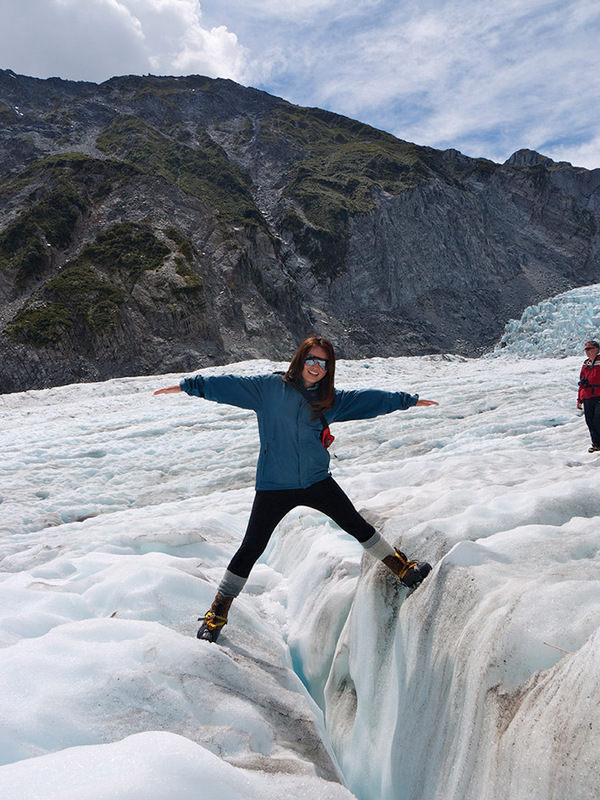 The most popular tourist destination on the South Island, Queenstown is for adventure junkies. What to Do: Ski or snowboard during the winters, and mountain bike, bungee jump, white water raft and rock climb during the summers. We abseiled down sheer cliffs, jumped through waterfalls and paddled along roaring rivers here. Canoe through Dart River, and you might spot a Hobbit or two. Much of the landscape was featured in the Lord of the Ring series. 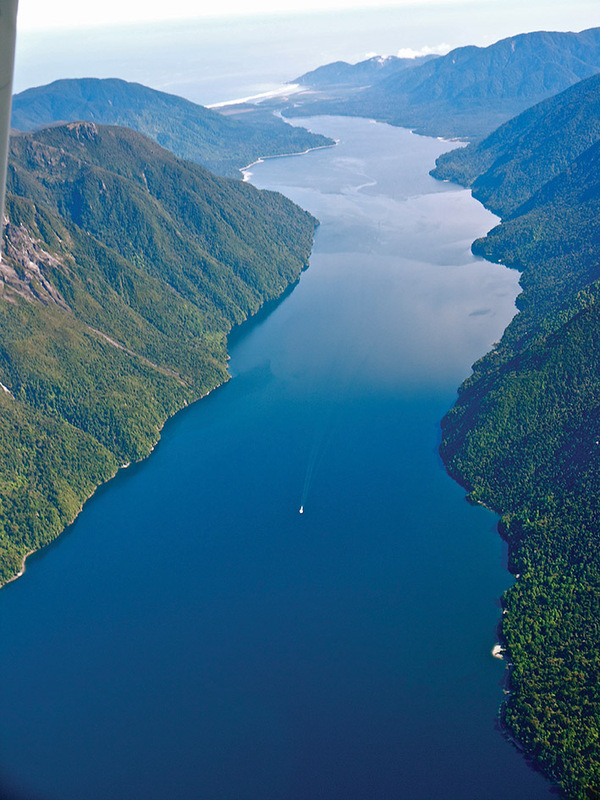 Rather than drive, charter a private plane to majestic Milford Sound. We even piloted our own Cessna (with a professional co-pilot) around Queenstown – the strong turbulence from the nearby mountains is not for the faint of heart! 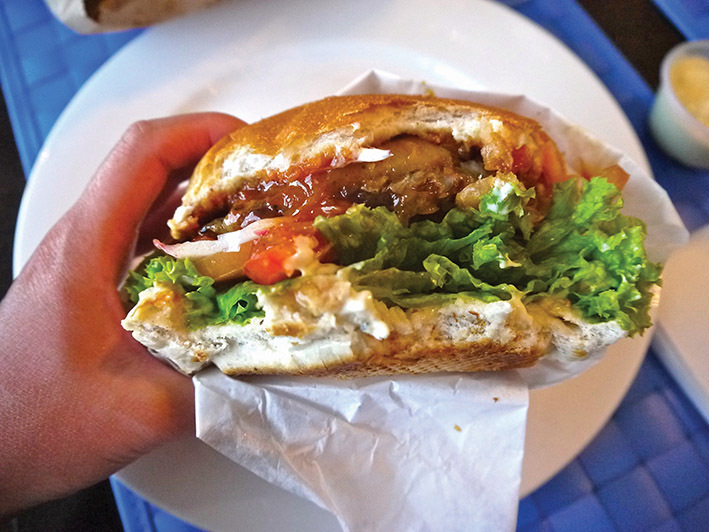 Where to Eat: One word – Fergburger. This cornerstone burger joint serves up juicy stacked patties with plenty of tongue-in-cheek sass. The music is almost always pumpin’ (the joint opens for 21 hours each day!) and the staff are crazy fun, with some being just plain crazy. There’s usually a massive queue out the door, with hungry gluttons salivating over exotic combos such as Sweet Bambi (deer meat with Thai plum chutney), or the politically incorrect Bun Laden (falafel patty drizzled with lemon yoghurt). Our favourite is the Chief Wiggum – thick slabs of slow-roasted pork belly with just the right amount of crackle, dolloped with apricot mustard (www.fergburger.com). For more refined tastes, there’s the cosy, romantic Gantleys. Converted from a historical inn for gold miners, Gantleys rustic yet sophisticated menu has gained praise nationwide, and houses one of New Zealand’s most comprehensive wine collection (www.gantleys.co.nz). During our 15-day road trip, we stayed only at B&Bs and serviced apartments, as it was the best way to meet the locals, and sometimes the only option in remote regions. We limited driving to a maximum of three hours a day.